A quality pencil case will not only keep all your graphite and colored pencils well organized, but will also feature smart design aesthetics in order to prevent any of the lead from chipping or cracking while being tossed around in a purse or backpack. 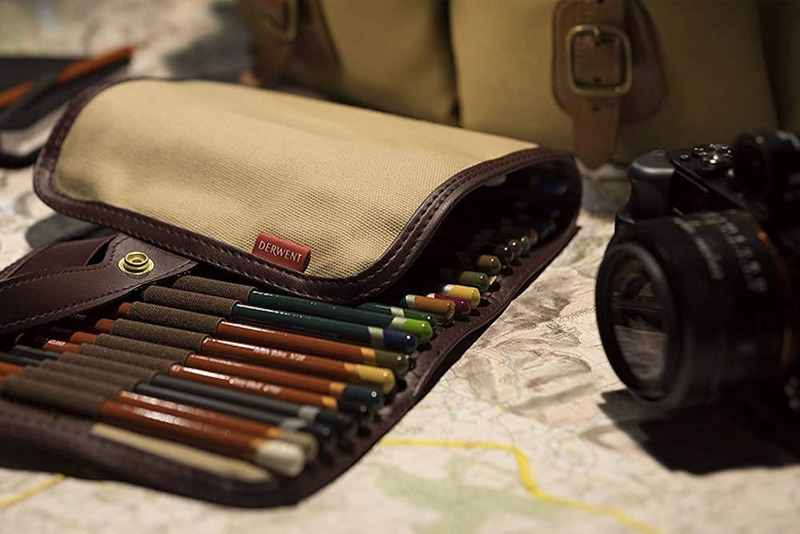 Today we wanted to highlight 10 of the very best pencil cases that were designed for artists of all skill levels to carry with them when heading to and from class or even going outdoors for a plein air sketch or gesture drawing. 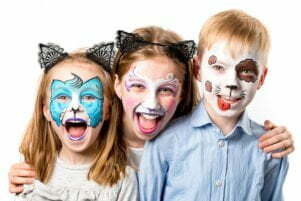 ArtBin has been a fixture in the art supply world for years. 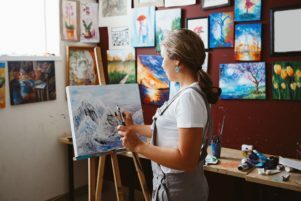 With a variety of art boxes, super satchels, specialty storage containers, and so many more options, it’s no wonder why their products are found on so many college campuses across the US. Taking a look at the ArtBin Pencil Box you can see why they have earned the respect from many. 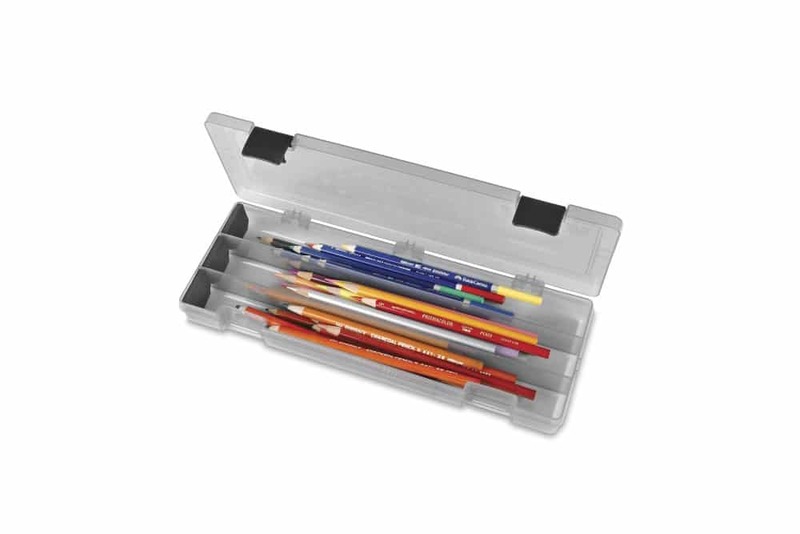 In this simple 3 compartment plastic storage container, you can easily stash away about 30 pencils in total. As you may have noticed in the picture above, one side of the container has foam inserts that protect the tips of the pencils from chipping and cracking – it’s a nice little feature that will save both money and frustration by preserving the soft lead found in many colored pencil brands. Overall, it’s a perfect no-frills and affordable storage box that gets the job done. The rigid plastic and snap-shut design will protect your pencils. 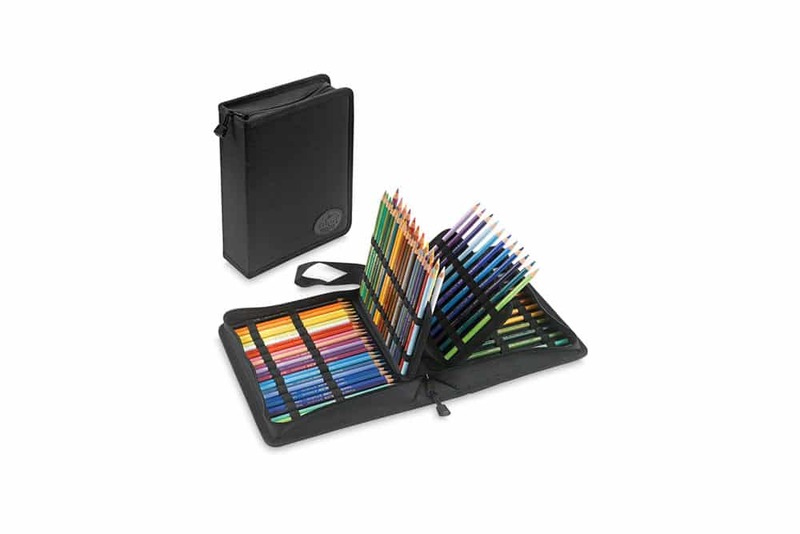 Serving artists for over 100 years, this pencil case by Derwent is the only offering on our list where you will find a company that makes both quality cases and pencils! 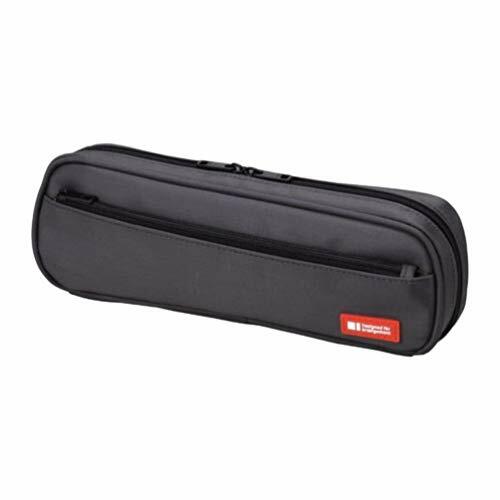 Similar to the Yasutomo Niji Roll, the Derwent Pencil case is another roll-up case that is lightweight and easy to carry. However, unlike the Yasutomo Niji Roll, this Derwent case is available in different storage capacities including 30, 68, and 132 pencils – making it one of the largest offerings on our list. Now if the rollup case isn’t for you but you still like the Derwent brand, they do make a carry-all that’s also worth checking out. Lastly, this case is made from a lightweight canvas and should last you for years. 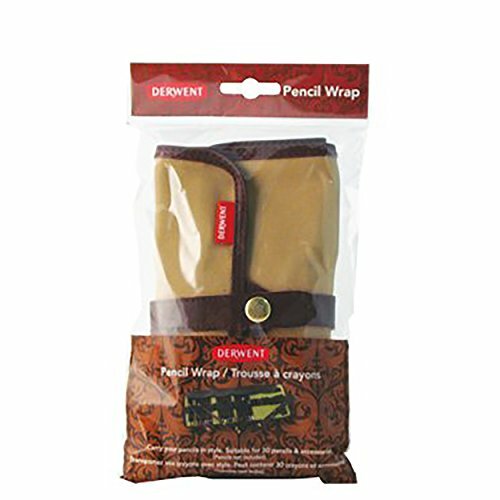 Overall, for a rollup the Derwent pencil case is the best available on the market. The ample storage options and button clasp will keep all your pencils well organized. 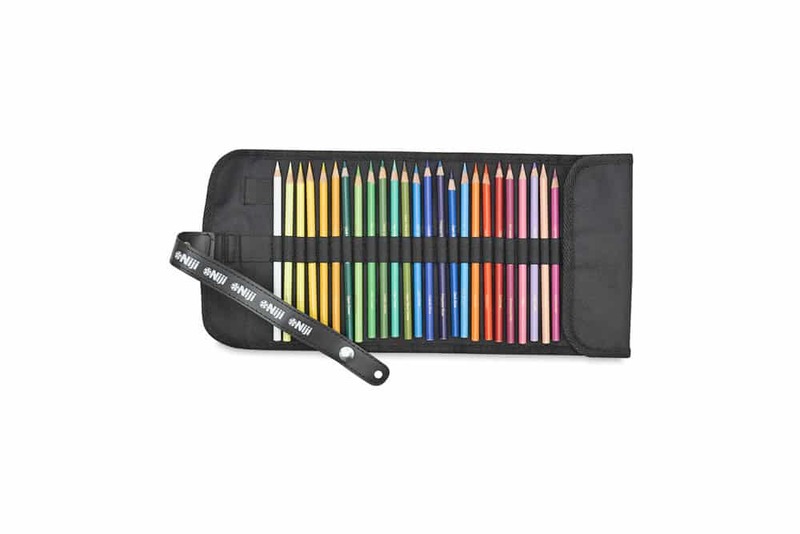 Very similar to the Global Art pencil case we also reviewed, the Tran Deluxe pencil case is another great way to travel with a set of colored or graphite pencils. Allowing you to buy the one that fits all the pencils in your set. But what makes this case really cool is that it has a zipper on 3 sides so it sets flat on any surface while also having a layered design (pictured above), so you don’t have to carry an enormous case with you should you decide on the larger option. Overall, this is one of the nicest and well-organized pencil cases on our list. Both the interior and exterior components of this case have been designed with the traveling artist in mind. For those who don’t want a zip closure yet evoke some old school aesthetics that artists of yesteryear relied on, then the Yasutomo Niji Roll is worth checking out. 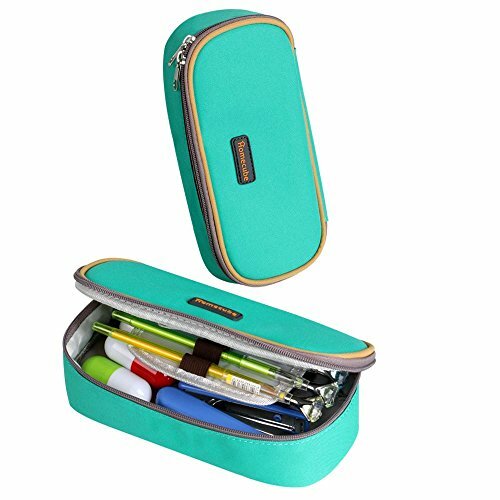 Crafted from water resistant nylon, this 25-slot pencil case is a great little compact way to travel with your pencils in an organized manner. Able to roll out completely flat, you will have access to all your pencils. With a price tag less than $5 bucks – it’s a steal. Overall, it’s a great way to travel with pencils and doesn’t require a ton of space. The button closure will always keep closed and won’t wear down like Velcro. This environmentally friendly travel case by Global Art is great pick for those artists who love to keep their supplies organized. 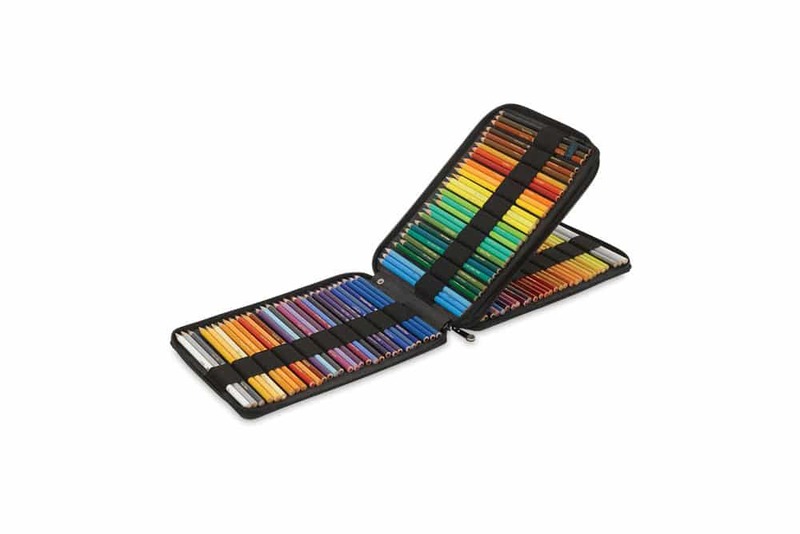 Available in a variety of sizes that can accommodate sets of 24, 48, or 120 pencils – this pencil case is great for those who may have started with a cardboard set of colored pencils and want a more permanent storage container. With a zipper on 3 sides, it can lay flat on a table for easy access. So, you can get one that matches your own personal taste as well. Overall, this is great for both organization and travel. The canvas body will protect your pencils and wear incredibly well. 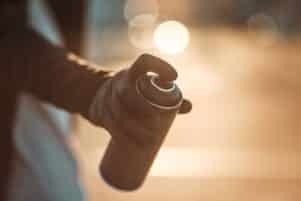 Expect to pay a slight premium for this case compared to others on our list. The reason why we had to include the LIHIT Lab pen case into this article was simply due to its flexibility. With a 9.4″ x 1.8″ x 3″ footprint, it should have no problem fitting in virtually any sized colored or graphite pencil. But what really made it standout was its interior Velcro wall. Able to become compartmentalized to carry your pencil sharpener, whiteout, eraser, etc. it’s a great and easy way to stay somewhat organized. While it does lack any individual pencil slots – most artists will be happy that it can accommodate around 25 pencils with ease. The side zipper on this pencil case is also a great place to store any thinner supplies (i.e. ruler, protractor, etc.). Overall, this is a no-frills bag that offers some light organization properties. The small size limits you to about 25 pencils at a time. 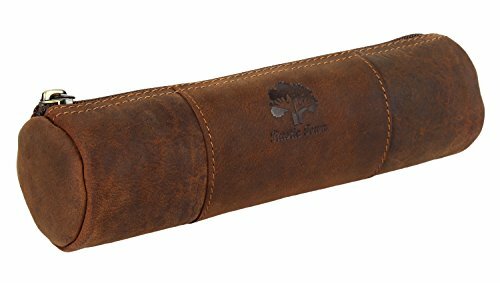 Evoking some similar qualities to both the LIHIT Lab and Homecube pencil cases, this leather pencil pouch is perfect for those seasoned artists who want a pencil case that can withstand years of abuse and never falter. Crafted from 100% Buffalo Leather, this slim case is a great pick for those artists who want to carry their graphite pencils, eraser or two, and a small sharpener with them out in the field. With a quality YKK zipper that won’t get jammed, it’s a great little rustic case. Overall, this is a great case for those artists who like minimalist yet old school design qualities. It will wear incredibly well throughout the years. Mesh bags are great because they can carry a ton of supplies and cost only a couple of bucks at most. 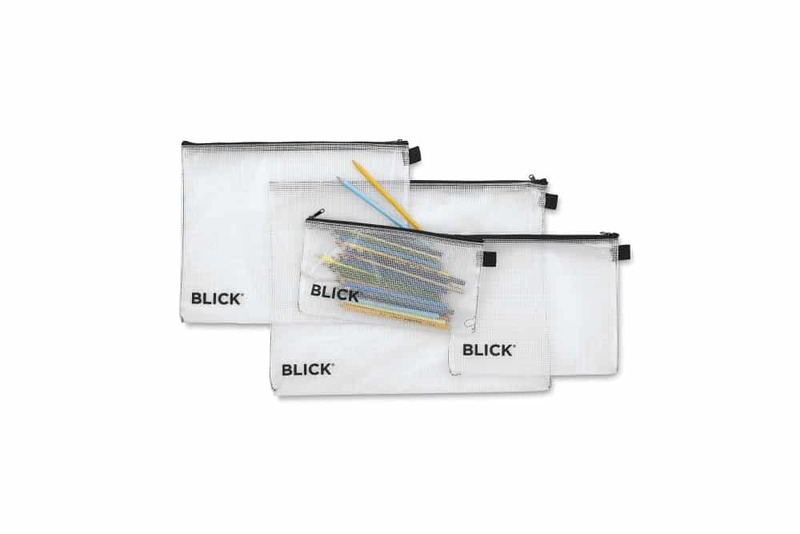 As is the case with most art supplies from Blick, these mesh bags are a perfect addition to your travelling art studio. Expect to pay anywhere between $2 and $5 bucks for the bag of your choice. Overall, it doesn’t get much cheaper than this. Mesh totes are great for storing large sets of colored pencils and can withstand plenty of wear. When it comes to the world of graphite and colored pencils, Caran d’Ache is one of those few super-premium brands on the market that is beloved by professionals everywhere. At 7″ x 2.25″ x 1″ – this rigid metal tin is the perfect addon supply if you are a fan of this brand. 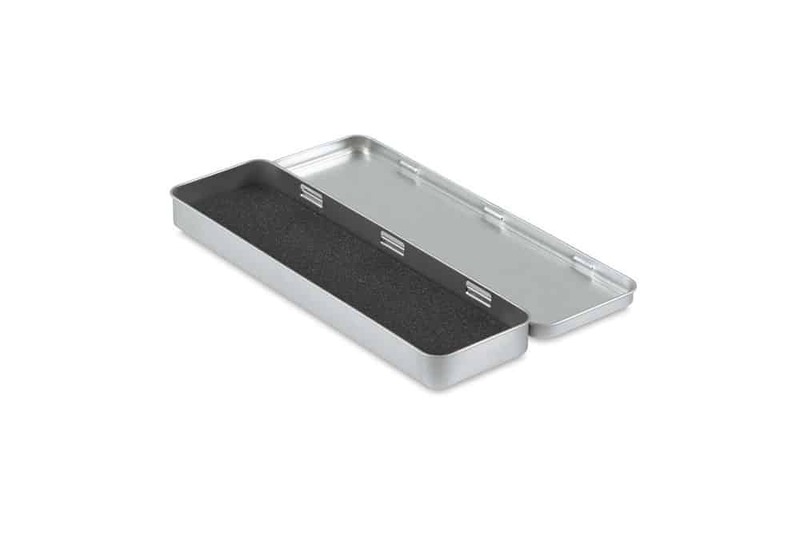 Made specifically for their graphite line, this tin has a foam insert that helps to protect your pencils from chipping or cracking while traveling. Of course, you can use some other brands pencils in this tin too (we won’t tell)! Overall, it’s a no-frills tin that gets the job done. Not as expansive as most, it is a great pick if you are looking to stick discretely in a purse or backpack. The Homecube pencil case is perfect for both kids and adults alike. Able to fit up to 45 pencils and featuring internal organization compartments for small sharpeners or pocket knives, you can take all your essentials with you wherever you go. 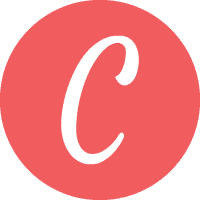 Making it easy to find the perfect one to fit your personal preference. With a sub $10 price tag (at time of publication), it’s an affordable pick that should be able to fulfill most artist’s needs. Overall, the compartments are a welcomed addition not found in many pencil cases. The canvas shell should also feel better with time.